Subscribe to the Business Energy Claims mailing list to learn more about energy mis-selling, and the steps you can take to potentially reclaim £1000s. Do you know the true cost of your business energy? If you have ever used an energy broker to find you the best deal for your business, you may be in for a surprise. Energy brokers /consultants (also known as ‘third party intermediaries’ or ‘TPIs’) assist businesses by offering them gas and electricity contracts from energy suppliers. Whilst not all TPIs are guilty of mis-selling, a large percentage make misleading statements about how they are paid, why they are recommending certain deals or suppliers, and this is often driven by financial motives meaning that clients’ needs are rarely the focus of the deal. We’re here to disrupt the business energy market and recover your hidden commission – so, let’s get started. How are energy brokers mis-selling? Did your energy broker tell you how much in total they made from arranging your business contract? In our experience most don’t, and there’s normally a good reason for that. Brokers know that if they had to fully disclose they would not make anything like the kind of commissions they do if they were transparent, after all would you sign up to a deal if you knew a significant chunk of your bill was going to your broker? They may even have told you that the service was free, or that the broker got their commission from the supplier as an “introducers fee” or words to that effect. Typically, most brokers receive their commission directly from the supplier they place you with, and it is built into the unit price they arrange for you. Often, this is not disclosed to the customer. Example: 2 year energy contract agreed, broker includes 1p per KWh in rate, annual consumption of energy was 512,091. Total commission paid to broker = £10,241.82. Example: 5 year energy contract agreed, broker includes 0.40p per KWh into rates. Annual consumption is 716,082. Total commission payable £14,321.64. But my broker saved me money! Of course they did, it’s a good way of encouraging you to use their services, they sweeten you with a saving, but you could have had a much cheaper price that they didn’t tell you about. You see, unlike yourself when you ring a supplier, the supplier is also often trying to add margin, so you rarely get the base price, but the broker always gets the base price from the supplier so it knows how much it can include as commissions, meaning it’s relatively easy for them to beat other prices you’ve been offered by suppliers. The other thing to consider is that if it was against your renewal price that they saved money (which is what most try to make you believe) then renewal prices are always artificially higher anyway. Why is the term of the contract so important? Well, there’s a couple of reasons really. Firstly, whatever they earn on a 1 year contract, it doubles for a 2 year contract, trebles for a 3 year contract, quadruples for a 4 year contract and so on. Suppliers don’t have crystal balls, so they can’t predict the future and so if a broker is trying to steer you down the route of a long term contract, especially very long term contracts then often the price will be higher as a result, and it’s probably to ensure higher commissions for the broker. Crucially, a number of suppliers are paying a large percentage of the commissions in advance of the contract beginning, so again the term promoted is often motivated by the amount the broker will earn in advance. Surely if this was the case the regulator would step in? Unfortunately, energy brokers are not regulated, and OFGEM have no powers (at present) to deal with them. We are pushing the likes of OFGEM, Citizens Advice etc to enforce a code of practice, and regulate the industry, but in the absence of regulation, we are looking to push for financial redress for businesses that have been mis-sold to. I’m sure that if they didn’t tell me how much they earned it wouldn’t be much anyway? That could be true, and we genuinely hope that is the case, but commonly we find at least four figure commissions in small company commissions, sometimes even five figures. In fact our average claim at present is £15,420.92 (link to main figure) but in some cases it could be hundreds of thousands of pounds, we are aware of one deal we are currently looking into being worth over £1 million! My financial director checked everything, there’s no way he could have been mis-sold to! Brokers aren’t charities, they may not have told me about their commissions but I assume it’s there! We agree, brokers should indeed get paid, in fact when we have seen deals that have been properly intermediated with full transparency, the broker has provided a fantastic service, and the rates are genuinely amongst the lowest we see. But most businesses only think they have a good deal from their broker, it isn’t until you get an expert to look into it that you realise the extent to which they have been mis-sold to. The truth is that as long as brokers can get away with mis-selling and selling rates at more than double some clients can achieve themselves, suppliers will see no reason to drop their base prices and offer them without haggling, like they often do in the residential market. AS a result, we are all buying products and services for everything we purchase at higher costs as a result of inflated energy costs. How can I avoid being misled and mis-sold to in the future? The only sure fire way is to ask the broker for disclosure and ask for written permission from the broker to check the amount with the supplier. 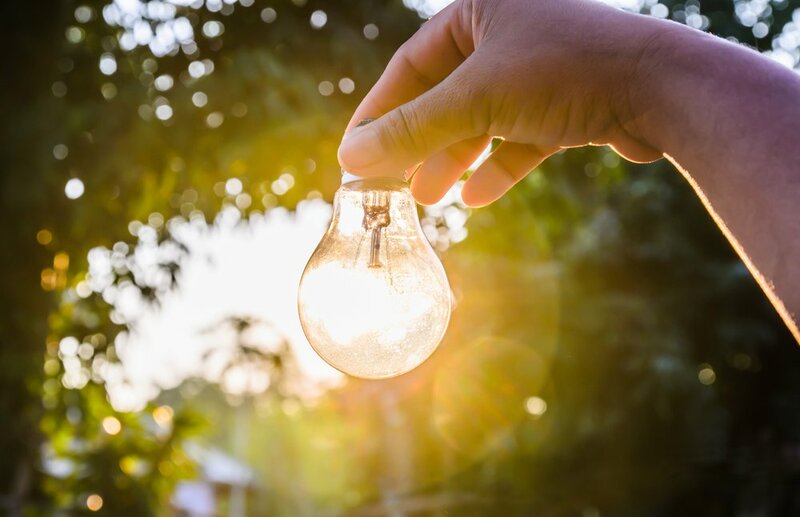 An interesting read from @EnergyLiveNews about the potential for small business to save a total of £2.5bn a year on energy costs as part of the government’s new Business Energy Efficiency Scheme.